Hello and welcome to London’s Live Comedy. 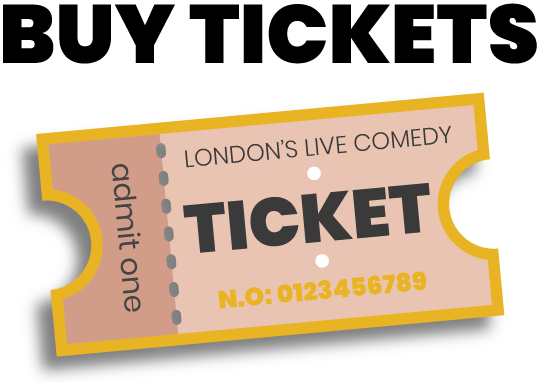 We’re a new venue with big ambition; to create a comedy community that serves the audience and performer. We love comedy and want to host the funniest, biggest, most diverse line up of comics and shows anywhere in the world. We’ll do this by putting on our own mixed bill nights, that we’ve called our Comedy Club – and new and already established comedy nights curated by the best comics and entertainers the circuit has to offer. We’re also inviting our favourite comedians to curate their own nights. Bringing something different and entertaining. 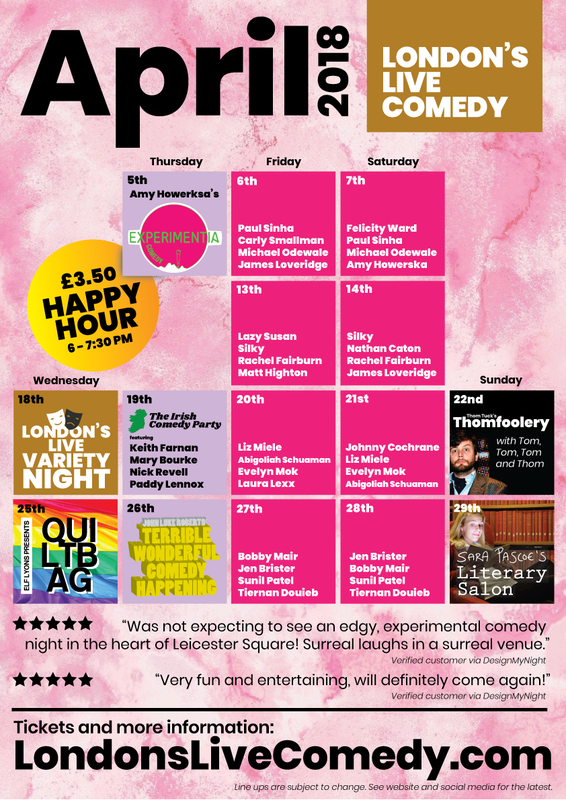 From the Irish Comedy Party and Classic Joke Club, through to Sara Pascoe’s Literary Salon – there is something for everyone.